Ball Mason Jars w/ Lid, 16 oz. One of the hottest trends in crafting. 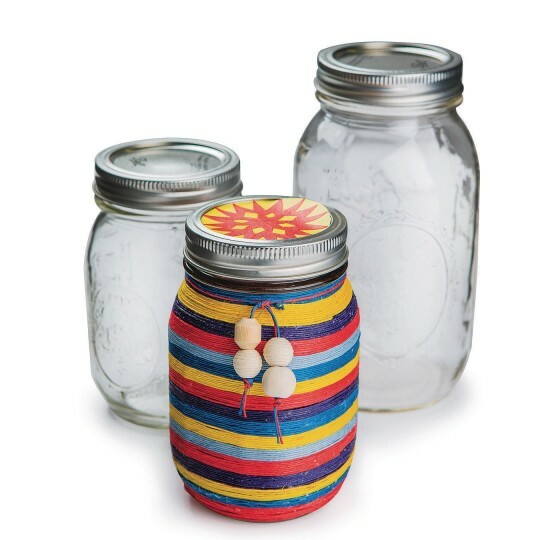 Clear glass jars with two-part screw-on lids: for crafts, storage, decorative use, home canning. One of the hottest trends in crafting! Clear glass jars with two-part screw-on lids are perfect for crafts, storage, decorative use, art projects and of course home canning! BPA-free.